We know that you may run into problems from time to time, and this page has been set up to help you get your issues resolved quickly, so you can continue enjoying watching your purchases of Commercial Masters. I have purchased an episode but when I click to watch it, it asks me to purchase? This is one of the most common issues we receive. 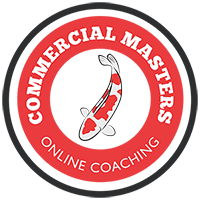 When you purchase an episode of Commercial Masters, you are asked to register your details, this will either be a Social Media registration using your details from Facebook for example, or you will have entered your email and chosen a password. So the first thing to check is to make sure you have logged into Vimeo. Once you have logged in you will be able to click your purchases and here you should see your videos you have purchased, you can then click the link to watch the episode. I purchased an episode but I cannot download it? All of the Commercial Masters videos are Streaming only, we do not allow downloads of the videos. You can however watch your purchased episode as many times as you like. If you are using the vimeo app, there is an option to watch the video offline so you can enjoy watching it without an internet connection. If you have any issues relating to payment? Some things are out of our control, this is when you need to contact Vimeo direct for help, we dont own the platform, so sometimes things happen that we cannot help with. If you find that you have any payment issues, or buffering issues, then please contact Vimeo direct, you just need to send an email to support@vimeo.com including a detailed description of your issue. They are very good at getting issues resolved quickly. We will continue updating this page as issues arrise.